STEP ’11: Free Family Theater in Local Parks! 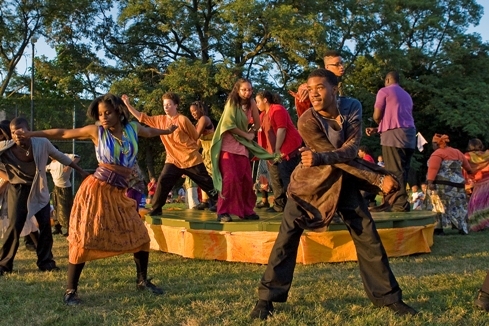 Cleveland Public Theatre’s celebrated Student Theatre Enrichment Program (STEP) returns to Cleveland City Parks this summer with their new original play entitled Imagine Home. The 2011 STEP ensemble of urban teens explore identity, family and sense of self in their original play, Imagine Home. Inspired by Henrik Ibsen’s classic play Peer Gynt, this family-friendly show tells the story of a mischievous outcast searching to find his place in the world. Packed with a cappella singing, dance and non-stop action, Imagine Home is about facing life’s difficult challenges and finding a home within ourselves. Come celebrate the power and creativity of Cleveland’s youth! W. 58 & Herman Ave.
Irving Ave. & South Hills Dr.
E. 46 & Outhwaite Ave.
W. 95 & Maywood Ave.
W. 14 & Starkweather Ave.
W. 38 & Franklin Blvd. This entry was posted in Art News, arts, cleveland, ohio, shows, theatre and tagged art news, cleveland, CPT, live, ohio, show, theater, theatre. Bookmark the permalink.